Multicomp specialise in Branch Tee Pulling in stainless tubing from 1" (25mm) up to 6" (150mm). We can pull 150mm Branch in a 150mm Stainless tube, up to 3.2mm in thickness. Ask us what variations we can achieve. 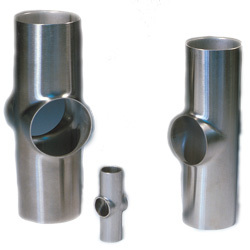 Tube Branches in stainless steel tube are very common in the food and beverage industry due to the smooth transition on bends and ledge and crevice free corners. 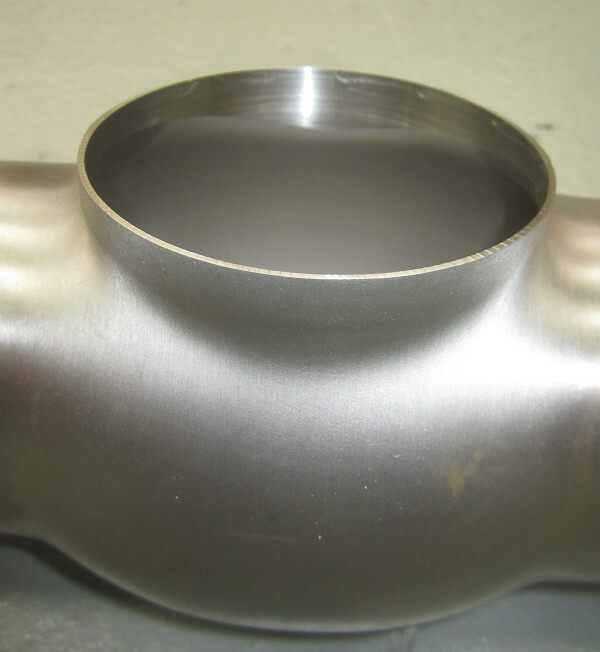 Tube Branch Tee sections are often used for Hygienic applications and to reduce welding and cleaning processes in stainless tube fabrication. Using a special T drill machine, first a special shaped elliptical hole of a special size is cut, then a branch is pulled by a rotating tool inside the tube, forming the branch or tee in the side of the tube. Tell us your requirements for an obligation free quote. Once again, Multicomp can do it!